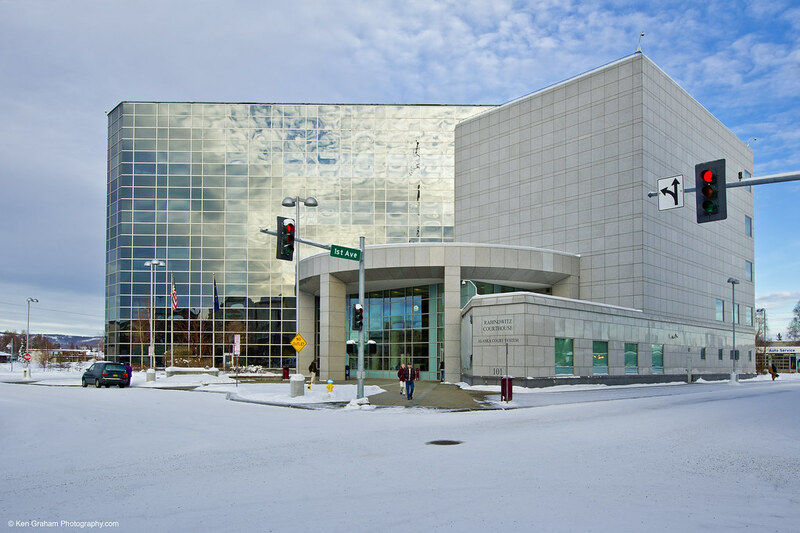 The Rabinowitz Courthouse is a five-story, 128,000 sf facility on the riverfront in downtown Fairbanks. The structure is a dynamic assemblage of three interlocking architectural forms. The typical floors are 7-inch-thick, 2-hour-rated composite systems. This increased slab thickness also addressed sound and vibration control concerns. Standard framing uses wide flange steel for both the floors and roof. This was chosen both for cost and constructability considerations. A concrete shear wall system was chosen for the lateral force resisting system due to the lack of vertical continuity for steel brace frames at the interior of the building, visual obstruction of steel braced frames at exterior walls, the expense of a moment frame system, and the efficiency of using concrete walls to provide fire protection at the stair and elevator towers. The foundation presented several challenging design considerations. The structure is relatively tall and heavy, which results in large overturning forces in an earthquake. In order to resist these forces, the heavy portion of the building is supported on a large, 3‑foot-thick mat foundation. Transmission of the earthquake forces from the individual shear towers to the mat foundation was accomplished using special heavy reinforcement designed and installed in the mat at each tower. A total of 3,000 cubic yards of concrete and 250 tons of reinforcement were required for this portion of the foundation. PDC’s Electrical Engineers designed utility connections, site lighting, headbolt heaters, lighting, power distribution, telecommunications, fire alarm, CCTV, and access control. 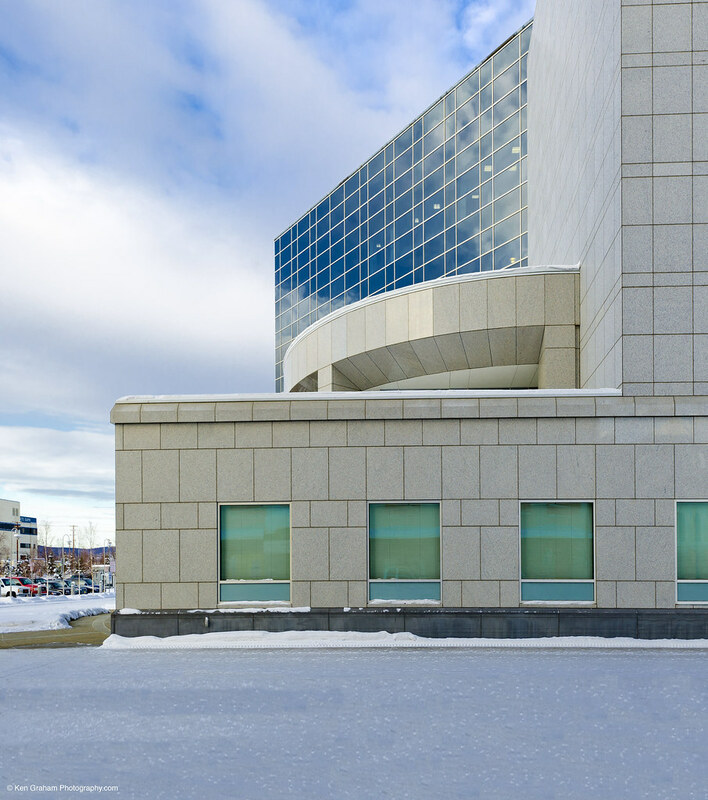 The design needs for the electrical systems included two-story open public spaces, private chambers, courtrooms, secure areas for jurors, and confinement areas for prisoners. The power distribution system included a diesel generator system for emergency and standby power. 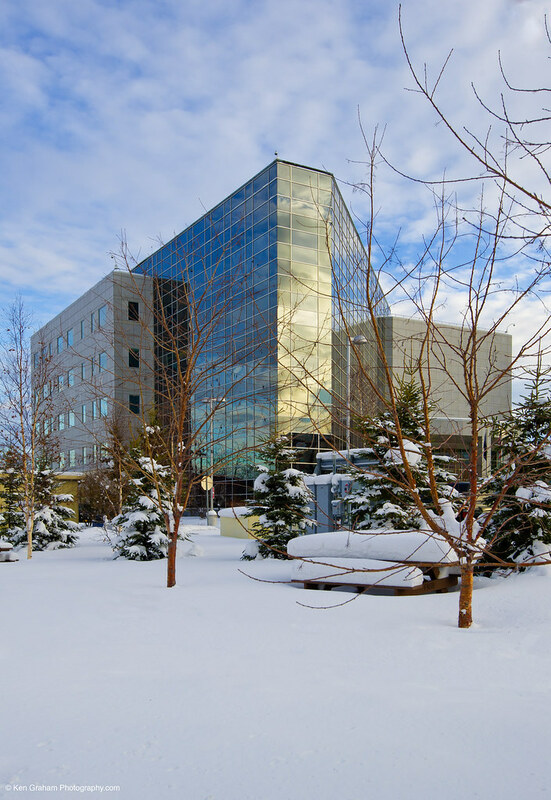 This provided emergency illumination for areas of egress, elevators, security systems, and the mechanical systems that run the freeze protection for the building.